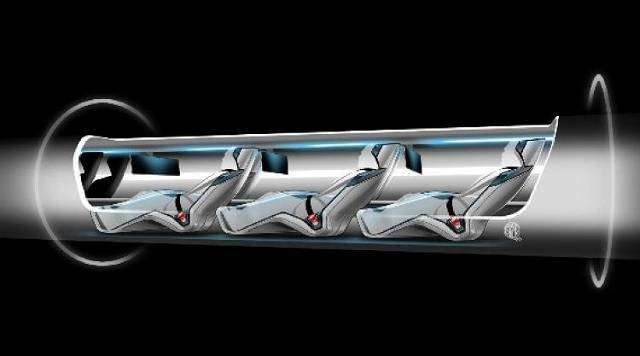 This past summer, Elon Musk once again impressed the world with his futuristic design for a high-speed transit tube that could take passengers from Los Angeles and San Francisco in just 30 minutes. 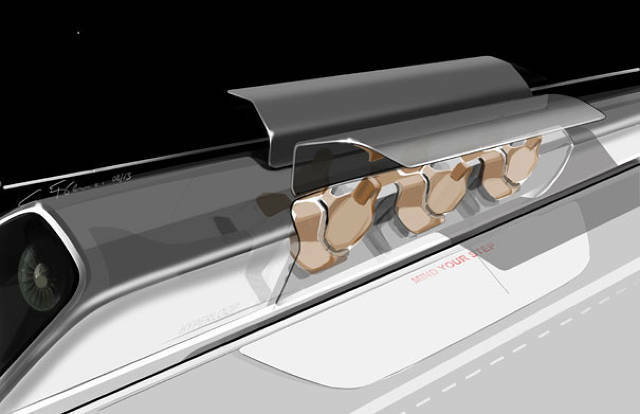 It’s known as the Hyperloop, a “fifth form” of transportation that would utilize linear electric motors, solar panels, and air cushions to achieve speeds of up to 1290 kilometers per hour (800 mph). Unfortunately, Musk also indicated that with his current, busy schedule, it would be many years before a working demonstration could be produced. What’s more, he was unclear on what role, if any, he would play in its creation. The project was unveiled as an open-source venture, and he called upon business investors to take up the role of making it happen. However, some investors have come forward to do just that. Gathering around the entrepreneurial collaboration platform known as JumpStartFund, these enthusiasts have come together to create a corporation that will see Musk’s concept through to development. This is no small task, seeing as how the price-tag (according to Musk) would be between 6 and 10 billion dollars. JumpStartFund launched on August 22, and aims to give entrepreneurs a network through which to both seek funding and support as well as crowdsource the idea and collaborate with others to refine it. 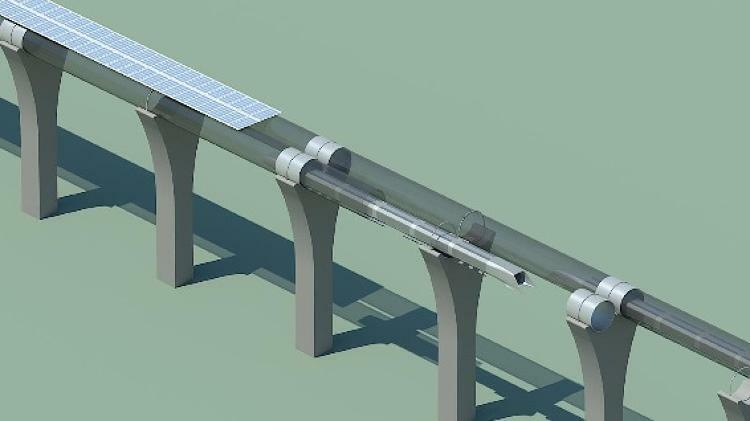 The Hyperloop concept, put up on the site by the JumpStart team, became the platform’s flagship project within its first week of launch. We want to be the ones that actually make things happen. So of course we need to create a corporation. Whoever decides to dedicate more time to this than just logging onto the platform deserves to be part of this company. Because Ahlborn and his co-founders have connections with SpaceX, they were able to talk over the idea with the company’s president, Gwynne Shotwell, and get the green light to feature it on the platform. Joining them are engineers Marco Villa and Patricia Galloway, who worked for SpaceX and the US National Science Board respectively and even held directorial and vice chair positions. We want to find a way to give everyone the ability to be a part of this project. The whole concept is always going to be on the platform. Everything is going to be very transparent, and we intend to reserve a percent of future revenues for people that work with us on the platform. 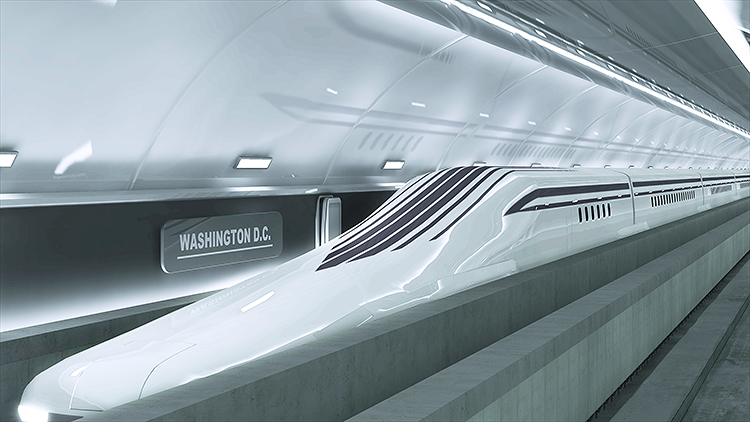 And the Hyperloop is hardly alone when it comes to the future of mass transit. 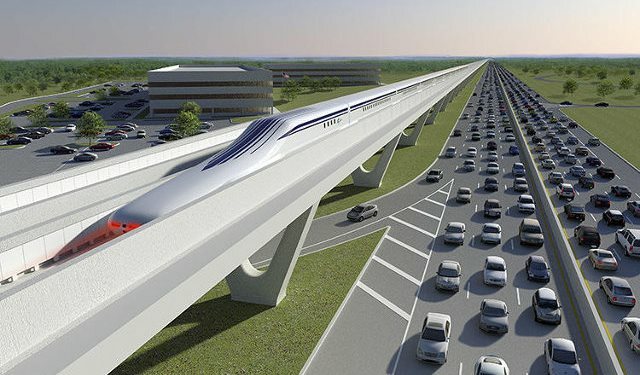 On the opposite side of the US, along the Northeast Corridor, The Northeast Maglev (TNEM) company is looking to create a superconducting magnetic railway that could take passengers from New York to Washington D.C. in 60 minutes, and from Baltimore to D.C. is just 15. At present, this American company – which is backed by a Japanese government bank – is testing a maglev route in Japan that runs from Nagoya to Tokyo in Japan and is planned to be completed by 2027. In the US, their efforts are aimed at replacing the nation’s aging transit infrastructure, which is unable to cope with modern demand. What’s happening is we’re operating on 1940s and 1950s infrastructure and drowning in congestion. This isn’t pie-in-the-sky technology. This is something that you could fly to Tokyo, sit on a train, and actually ride a train that goes 311 miles per hour. Much like the Hyperloop, the train would run on a bed of air, levitated by a series of electromagnetic coils located on the track. 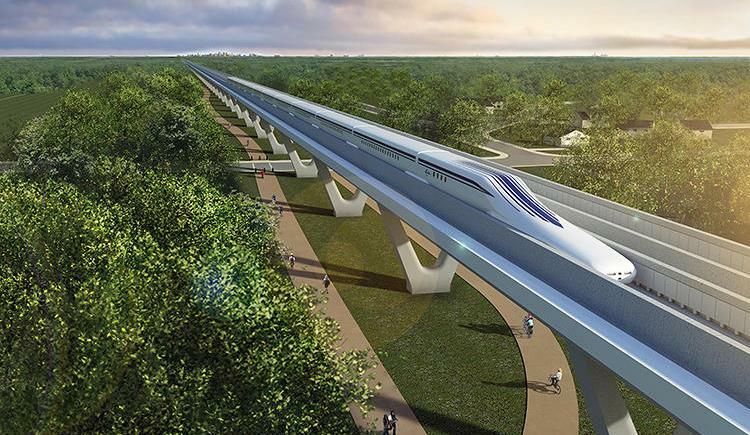 While similar magnetic levitation projects along the corridor have been considered in the past, they repeatedly failed due to curves that would slow down the transit process, and passengers projections were consistently too low. The current maglev project plans on using tunnels to bypass the curves, and train ridership is at an all-time high. However, the realization of the project will still require significant funds. As Rogers himself projects, the first leg of the route – from D.C. to Baltimore – will cost some $10 billion. As such, the company imagines it will require some additional federal support. The company does have some high-profile support working in its favor, though. Its advisory board includes two former transportation secretaries, former majority leader Tom Daschle, Under Armour CEO Kevin Plank, former Northwest Airlines CEO Doug Steenland, and George Pataki, Christine Todd Whitman, and Ed Rendell – the former governors of New York, New Jersey, and Pennsylvania. [T]he concept is different, the sponsorship is different, the routing is different, and the technology is different. I think one of the things [the Hyperloop] has done – without commenting on the feasibility of the Hyperloop or not – is it’s brought people’s attention to the problem and brings America back to the things it’s good at, which is thinking big things and implementing cutting-edge technologies on terrific projects. Who knows? 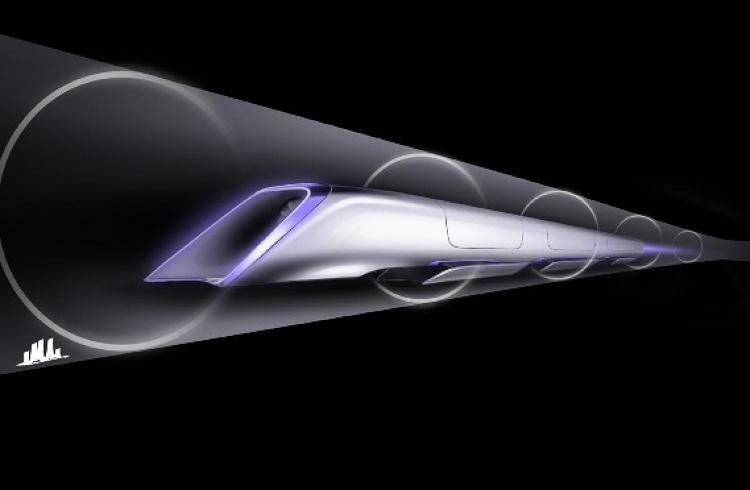 In a few decades times, we could be looking at a world where high-speed maglev trains crisscross every continent, carrying people between all major cities faster than jet planes, and at a fraction of the cost. Meanwhile, intercontinental transit could be taking the form of aerospace travel, jets that fly into the lower atmosphere at hypersonic speeds. It’s important to dream big! Wouldn’t this be nice to stuff in the air-carries’ back pocket. I’m so tired of their fleecing us for every time.